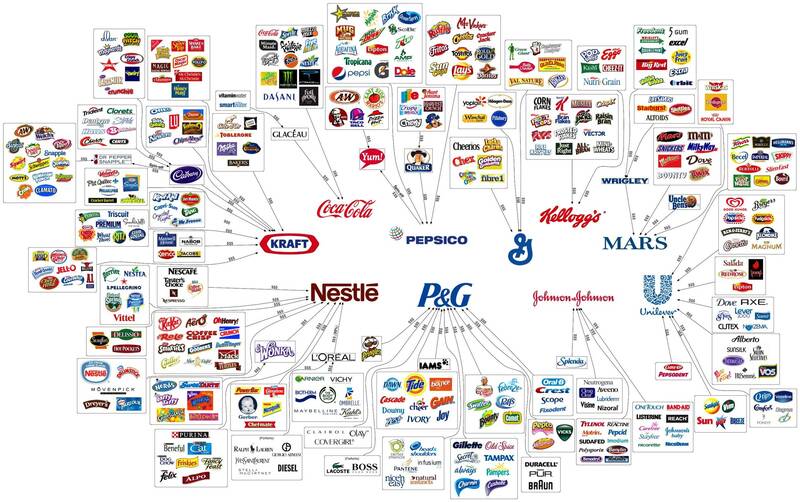 According to this chart via Reddit, called “The Illusion of Choice,” these corporations create a chain that begins at one of 10 super companies. You’ve heard of the biggest names, but it’s amazing to see what these giants own or influence. Some of these large brands don’t neccesarily own the sub brands, but own a percentage, partner or simply distribute their product.